80880-81365 NV State Route 34, Vya, NV. 480 surveyed acres in the Nevada Outback. 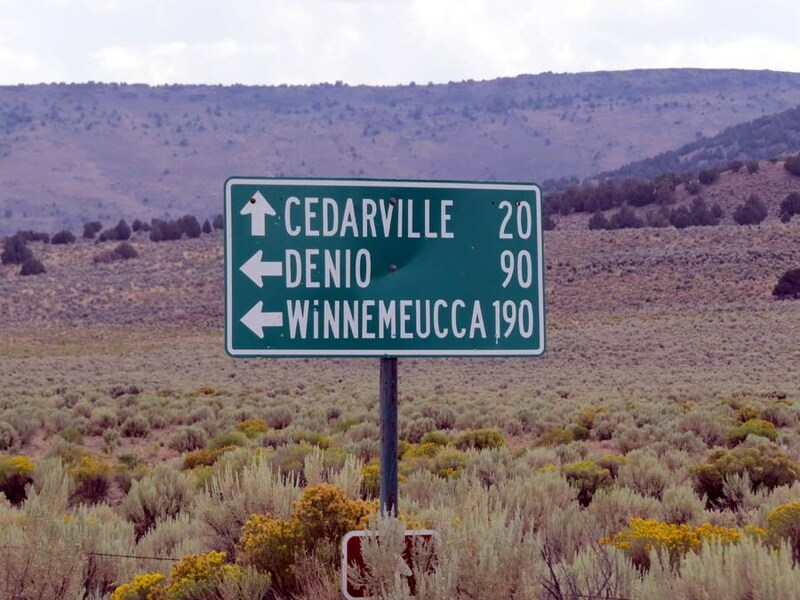 Located in Long Valley, near the Vya Road Maintenance Station, Washoe County, Nevada. Four parcels total; each is excellent for grazing livestock and has soil suitable for cultivation of hay and grass crops. Two Appropriated water wells for stock-watering and irrigation are in place. Additionally, the property has a water right for household water from “Town Spring”. Electricity is on site and is provided by Surprise Valley Electrification, a cost effective rural Co-operative; service has been undergrounded to two of the parcels. A small shop/garage has been built near a potential home site. Covered in native grasses and sage, spectacular views of Long Valley, and unique rock formations as a backdrop. If you like seclusion, star studded nights, true-blue skies, and silence; this property is for you. Easy access, with frontage on NV State Route 34, a well maintained and well-traveled gravel road. The property is 44 miles from Alturas, CA and is only 21 miles to the small rural community of Cedarville, CA. Sandra Jo Stevenson (aka “Sandy”) is a California and Nevada Real Estate Broker & is the Designated Broker for AAA Advantage Realty, Inc. owner of United Country Stevenson Realty, Auction Services & Property Management. Sandy is a Realtor®: An active member of both the California & National Association of Realtors. Sandy grew-up in Modoc and loves where she lives: “I attended Kindergarten through High School in Modoc and left for my secondary education.” Sandy has a teaching credential: Culinary Arts, a Bachelor of Science: Real Estate, and 2 GED degrees (1. Get-Err-Done & 2. Got-Err-Did). “I’m very good at putting contracts together and I really enjoy making my clients happy.” She also holds the following credentials: Certified 1031 Exchange Broker (Starker Services, Inc.), Certified Mentor - Buffini & Company, Quality Service Certified (QSC), Warner Mountain Toastmasters Past-President, Sandy has been a successful Investor & Developer of Real Estate projects (30 years’ experience). Her management of the brokerage of United Country Stevenson Realty has produced & maintained Sales Volume ranking her United Country brokerage in the Top 10% Offices Nationwide (United Country Real Estate). United Country Stevenson Realty has been awarded the “Most Sales Nationwide” for consecutive years (United Country Real Estate). Furthermore, Sandy is a former United Country Region Vice President (Western Region) using her expertise to help other United Country brokerages, brokers and agents. Currently, Sandy is active in many community and civic organizations and is now an active member of the Surprise Valley Rotary and Past President. Her desire is to help the community of Modoc maintain the wonderful lifestyle this area affords.